Despite the potential consequences, some people still choose to drive while under the influence of alcohol. Teens often don’t realize or think through the consequences of their choices, so it’s important to be proactive and educate them. Here are the reasons why you should discuss the dangers of drunk driving with your teen. As a parent, you must stress the importance of abstaining from alcohol. Each day, hundreds of teenagers are persuaded by their friends to drink alcohol. Unfortunately, some teens eventually give in to the persistent peer pressure. This can be extremely dangerous if they are behind the wheel of a car. Although teens cannot legally purchase alcohol, they can easily find ways to obtain it. Research shows that car accidents cause more teenage deaths than anything else. Adding alcohol to the mix elevates the degree of danger. Alcohol tends to cause poor judgment, which can certainly lead to a serious crash. Even the most skilled driver can lose focus while under the influence of alcohol. No parent wants to experience the horror of seeing their child in an intensive care unit. The legal system takes drunk-driving incidents very seriously. 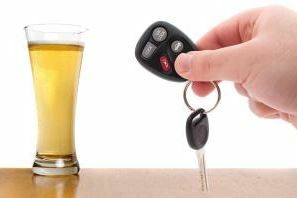 If a teen driver is caught with any alcohol in their system, their license will likely be suspended. In some states, an intoxicated teenage driver could face up to a year in jail. This is especially true for the teen drivers who have more than one DUI on their record. Some court systems may also require the young driver to pay an expensive fine. It’s important to get the help of a Mesa DUI Lawyer to help navigate the legal system after an offense. The cost to insure a teenage driver is not cheap. In fact, the cost of a 16-year-old driver’s insurance policy can exceed $2,500 a year. If they are convicted of a DUI, the cost of their insurance policy will skyrocket. This can be a frustrating situation for a young driver who still relies on their parents for financial support. Even worse, their decision to drive under the influence of alcohol could cause an innocent bystander to get hurt. The adolescent brain typically goes through a lot of changes during puberty. This is one of the reasons why teenagers should not consume alcohol. Drinking while driving could eventually become a daily habit. In some instances, chronic drinking could cause permanent brain damage. Make it a priority to discuss the dangers of drinking and driving with your child. A single drunk-driving incident could impact the rest of their life. This is some great advice as to never risk getting a DUI charge in the first place. A DUI charge alone can have lasting consequences. I still remember back when I was teenager how many of the people I knew would brag about driving drunk. Most of them are horrified that they ever did now. Education is the first step to stopping this problem. Thank you for sharing your tips! Yeah, all sorts of problems, still it’s not convincing because it doesn’t work for careless drivers. What if we think about why they actually DUI? My little sister just turned 21 years old and she can start drinking now. It is good to know that I should make sure that she understands the full weight of drinking and driving. It might also be smart for her to know what DUI attorney she will call if she does get pulled over for a DUI.